Hey Guys! Brent here with you today from the beach at sunrise. I’m trying something a little different that I learnt from this awesome eBook by my friend Richard Schneider called The Photography Tutorial eBook. It’s an amazing book that will give you lots of different ideas and tutorials, and if you give them a try, I promise your photography will improve. He’s given me a special deal to share, just for you guys, so you can add this book to your library and improve your photography skills. It’s not only informative, but also has lots of fun and fresh ideas. Click here to grab this amazing book and watch as I give one of his ideas a go. So, the technique I’ve decided to learn from The Photography Tutorial eBook is what’s known as forced perspective, or inverse perspective. Forced perspective is sort of an optical illusion. Think face/vase images or an M.C. Escher drawing. You have to “force” your mind to look at the image differently in order to see the different perspectives. They can be real mind benders! That’s forced perspective and we can do that with photography! Using this technique will hone your skills at seeing the world in a different way, which is a must-have skill for all photographers. 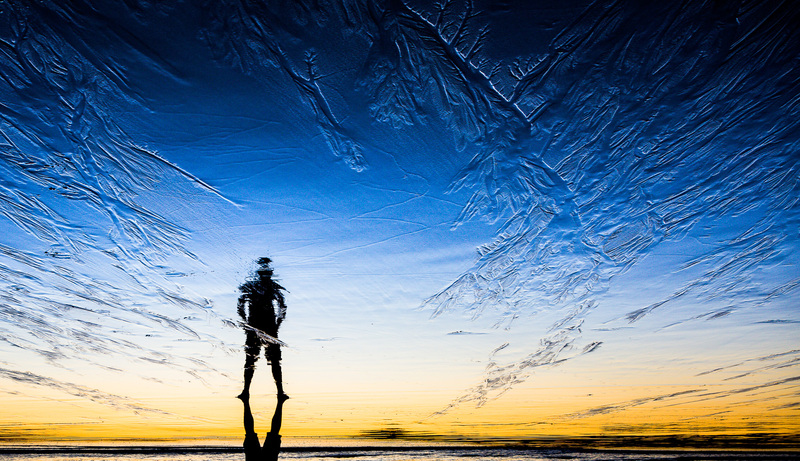 One simple way to start is with reflections. Any time you see reflections, begin looking more closely at them and seeing what mind benders you can find. To get the reflections I wanted, I went out to the beach at sunrise so I could shoot into the sun for maximum reflection off the wet sand. To capture the full dynamic range of light (because I was shooting into the sun), I used bracketing with my camera on a tripod to keep the images sharp and the position consistent. To shoot bracketed, I took one image two stops underexposed, one normally exposed, and one two stops overexposed. In Lightroom, I blended each of the bracketed images together and flipped them upside down (inverse) to see what the new perspective looked like. This is just one more thing I love about photography: seeing the world in a completely new way. Believe it or not, this can have farther reaching impacts on your life than just your photography. We all could use new and improved perspectives from time to time. But for your photography, begin honing this skill by really taking a new look at the reflections you see in your day-to-day life, and carry that “new eye” with you next time your camera is in hand. 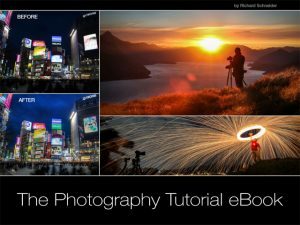 Whether you’re a landscape, cityscape, travel or general photographer, Richard’s book (click image below) will give you the tools you need to improve your photography. Richard has been kind enough to offer my blog readers (YOU) a special deal on his amazing book, but it’s only valid for a limited time. Click HERE to grab it now at 60% off! Give this new forced perspective a try for yourself and share your thoughts with me in the comments section below. I love hearing what you guys come up with!